Semi Closed fabrication area equipped with New cnc plasma cutting machinery with upto 100 mm thickness. 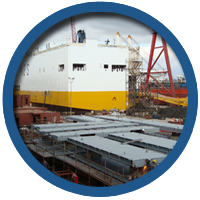 The crane capacities and heights are designed to build the ship blocks easily. 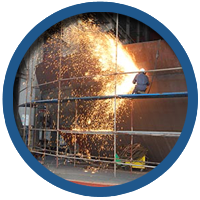 The capacity of steel production is 30 tons per day, reaching an annual figure of 12.000 tons. 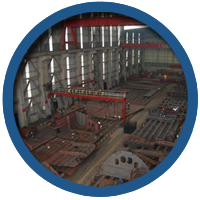 the internal height is 30 m. Stainless steel and mild steel pipe works are manufactured in special area with professional cutting, wilding & pipe bending machines.. 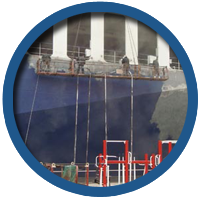 The Shipyard has comprehensive facilities and experienced team of workers for all kind of, painting for tanks and decks, under observation and guarantee of international paint suppliers. 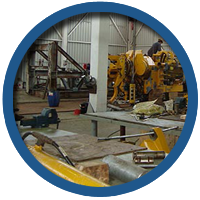 The workshop has a wide range of machinery to handle mechanical repairs of engines, pumps, heaters, oilers, compressors and gears. 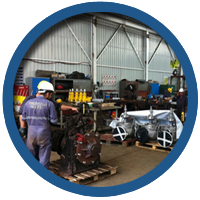 Experienced technicians can carry out turbocharger overhauling, reconditioning, retubing, boring, lapping and machining of parts in our facilities. 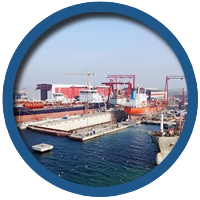 The Shipyard also cooperates with licensed workshops for special tasks such as crankshaft machining. 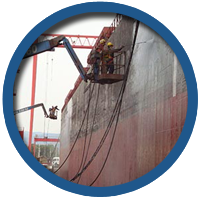 Open & Closed storage facility is managed by an online stock program which enables the Shipyard to provide efficient logistic services, for ship building and ship repairing activities, with monitoring of critical stock levels. Explanatory text is not included yet.